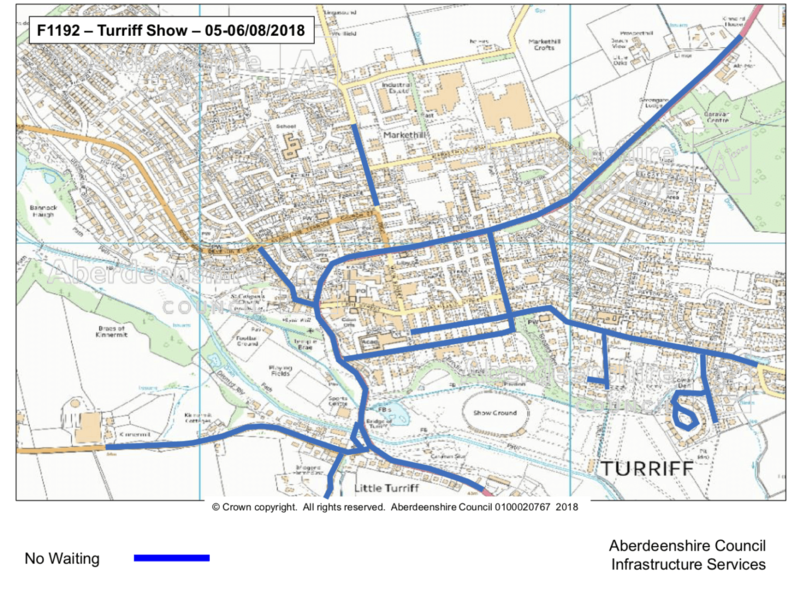 To maintain emergency vehicle access, for the safety of the public and visitors to Turriff Show, a number of parking restrictions will be put in place. The following parking restrictions will be in place and indicated by No Waiting cones from 00:00 am on Sunday 5 August until 6 pm on Monday 6 August. Visitors to the show should follow the yellow directions signs that will take them to the designated show car parks.